Straight from a solo show at the Hirshhorn Gallery in Washington DC and a group exhibition at Chicago’s Museum of Contemporary Art, Jim Lambie continues his US tour this autumn at Boston’s Museum of Fine Arts, a grand civic museum currently undergoing a transformation. He is the third artist (and first non-American) to be commissioned to participate in the Museum’s acclaimed RSVPmfa series. The series, which began in 2000 with a commission from Jonathon Borofsky, invites artists to produce work in response to the physical presence of the MFA: its public spaces, hidden areas, collections or surrounds. It is this direct, visceral relationship that will be invoked when his commission opens on 10 November. 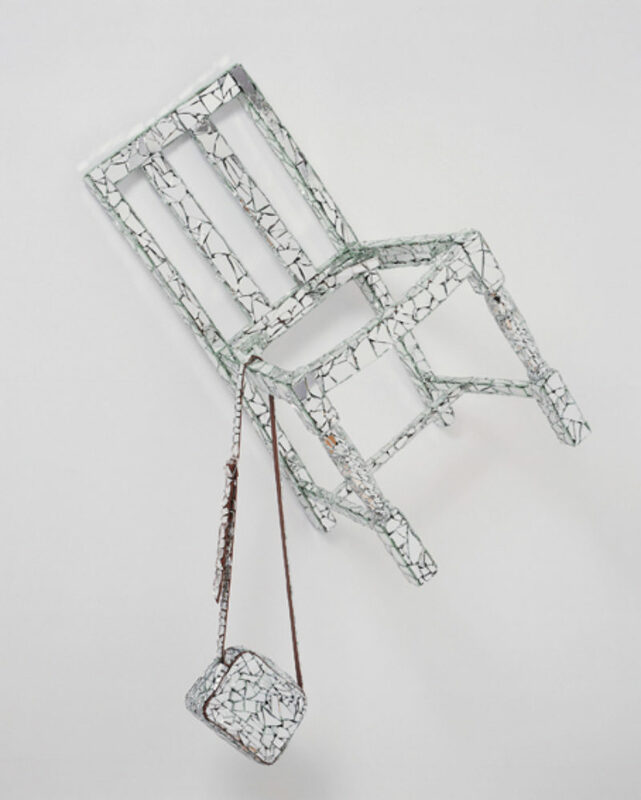 Lambie has created 80 chairs adorned with brilliant colour, shattered mirror pieces and other found materials which will be suspended from one of the walls of the museum’s West Wing Galleria. Within these opulent confines, Lambie’s installation will sensationally transform mundane objects, its promised ‘rhythmic and kaleidoscopic energy’ constituting a visual jolt and an interesting juxtaposition to the concurrent major exhibition, Napoleon’s Symbols of Power.